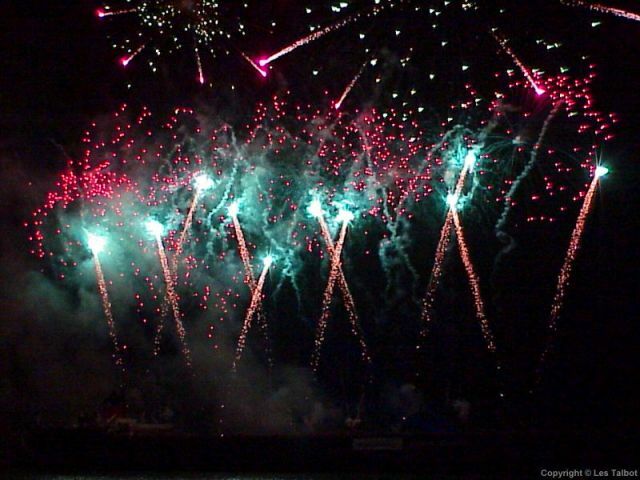 Display spectacular images of fireworks as your screensaver! View 40 amazing images of colorful shapes exploding in the air. Includes an MP3 clip of "America the Beautiful" - perfect for a patriotic celebration! day or night, at any time of the year! Includes 40 Images. 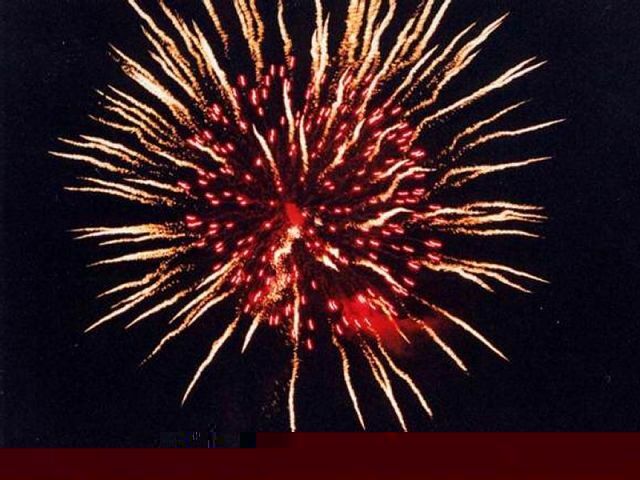 Display spectacular images of fireworks as your screensaver! These stunning images were taken by Les Talbot, Joseph P. McClain, and Indra Laksono. 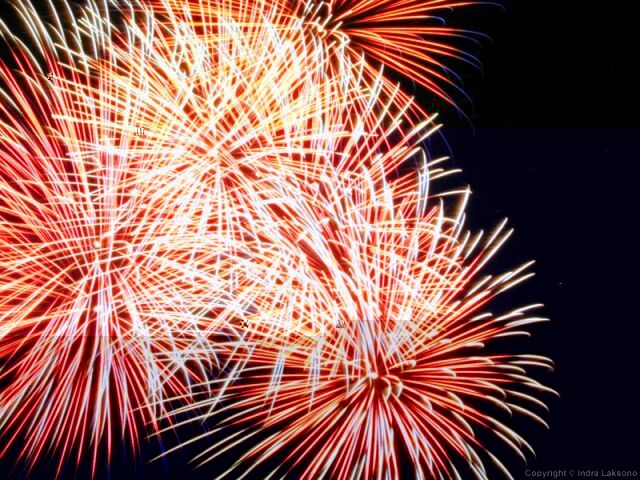 Relax, and enjoy an awesome fireworks light show: day or night, any time of the year! - A sample MP3 clip of "America the Beautiful" is included - perfect for patriotic celebrations! GetRight-compatible! If you use GetRight to download files from the Internet, the Blazing Fireworks Screen Saver will show you which files are downloading and the percentage completed. You don't have to disable your screen saver to keep track of your downloads! Quick-Launch Icon. Click on the Blazing Fireworks Screen Saver icon in your Windows tool tray to run the screen saver immediately, or for quick access to the configuration options! Optimized for speed and smooth operation, the Blazing Fireworks Screen Saver is compact, and requires no additional DLL's or modules.